Pvt. Chester L. Cole, son of Mr. and Mrs. Dee Cole, Olney, graduate of Olney High. Entered US Mrine Corps, 1943, trained at Camp Elliott, Cal. Served in New Zealand, Guadalcanal, Bougainville, Eniwetok, Guam and Iwo Jima. Awarded Pacific Theater Ribbon and Purple Heart. 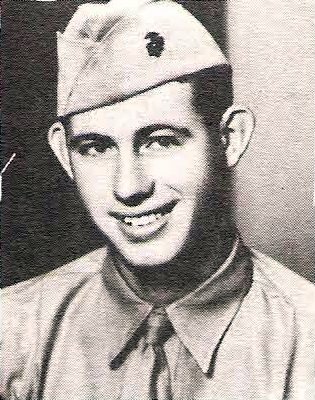 Killed in Action on Iwo Jima in 1945.